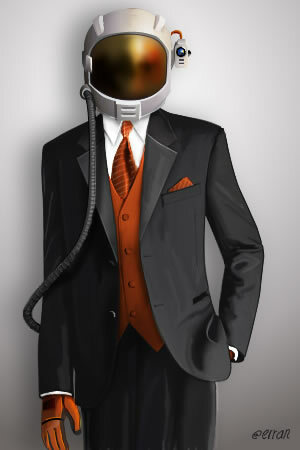 You can read the blog, buy the dress, and now own a print of a different (and more masculine) "Elegant Astronaut." I stumbled across this fashionable explorer on the deviantART website. BEWARE: my computer was infected with some clingy scareware as soon as I tried to contact the artist. 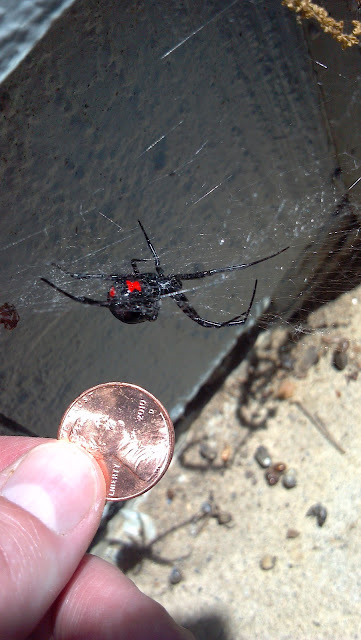 I have enjoyed looking at images on this site before, but I'm scared to go back. It took our tech services people an afternoon to clean up my computer. Nice work on the astronaut, though! 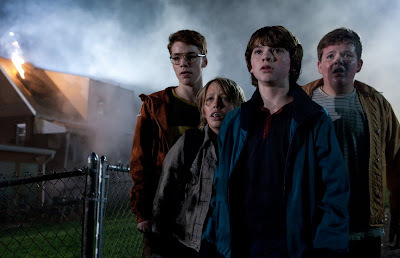 Movie scene from "Super 8." Directed by J.J. Abrams, Produced by Steven Spielberg. Pictured above are actors Gabriel Basso, Ryan Lee, Joel Courtney, and Riley Griffiths. This is the first movie I've seen since "The Goonies" that convincingly captures the spirit of adventurous adolescents as they stumble across something much larger (and much more dangerous) than themselves. It is really no surprise to see both J.J. Abrams' and Steven Spielberg's names on this film. Dysfunctional families sometimes spawn the best friendships, and probably everyone knows what it feels like when your object of desire likes your best friend instead of you. Combine this with an awesome train wreck, aspiring zombie actors, a real monster alien, a heroic biology teacher, an unethical Air Force (thank you, Mr. Abrams! ), and your friends-until-the-end kids from around the neighborhood, and you have an instant classic. Congratulations, Mr. Abrams, Mr. Spielberg, and everyone at Bad Robot and Amblin! I am going to see your movie again this week.